Motion: Fatimah Muhammad moved that Board Minutes Minutes of December 15th, 2018 be accepted as presented. Fatimah Muhammad reported on the SLACO Conference. Mark Abbott, prior president of SLACO asked Fatimah to do a presentation on Neighborhood Associations – The Good, The Bad, The Ugly. Fatimah presentation included a slide show and a brief questions and answer period. There were block captains, neighborhood groups and others who were interested in starting a neighborhood association in attendance. She further stated that as a whole, the event was very well attended, including some of the guest speakers; Ben Senturia, Maggie Lalor,Claire Wolff Charles Bryson, Rick Bonasch, Clayton M. Evans,and Charles Jaco, just to name a few. Financial Report – Presented by Fatimah Muhammad. Motion: Fatimah Muhammad moved that the Financial Report be accepted as presented. Discussion: How is the developer protected after court action is complete? Pass title from owner through the neighborhood under a contract to rehab over a certain amount of time for a donated property. In other cases besides donations, we go through a default process through the court. The court will allow the neighborhood association and its contractor legal control to make improvements to the property and to bring it up to code compliance. All of those investments are protected by the statue. The statue says that if the the owner comes back and would like to claim the property they must reimburse the neighborhood and their contractor for all expenses. Their is a calculation for interest to be taken into consideration as well. Brian Weaver – was not able to attend as his wife was ill. The HPNA Fundraising Committee met with Alderman Bosley and presented our goal of park improvements at Hyde Park. This year our focus would be on renovations to the Gazebo – cleaning the copper roof, tuckpointing, update electrical, install lighting and landscaping around the Gazebo. The HPNA Fundraising Committee will commit 15% of the proceeds (after expenses) from the Purpose For The Park Gala towards the improvements. Alderman Bosley stated that he would match that amount and the parks department. Sales tax passed known as Arch Tax possibly matches funds as well, we will investigate this. Fatimah Muhammad stated that the Membership Committee has been working closely with Angela Drake who is the Chair of the Fundraising committee, with a focus on increasing membership as well as assisting with fundraising ideas. Fatimah further stated that the Membership committee is focusing renters. We are working on a campaign as to how we can reach renters to change the narrative. Renters in the neighborhood CAN be apart of the HPNA. We are looking at ways to bring them aboard and get them involved with the association. Membership renewal has been slow this year. We have just sent out our second request letters and emails for membership dues for December and January. We are looking to double the roll this coming year. Peter: Landlord tenant matters workshop concerning tenants rights (training) to bring and advertise to renters of the neighborhood to get them more involved and aware. Fatima Muhammad asked the question: Is it possible to hold a strategic planning meeting in the next month, so that people and developers can be presented with the strategic plan? Spencer replied stating he will set that up. 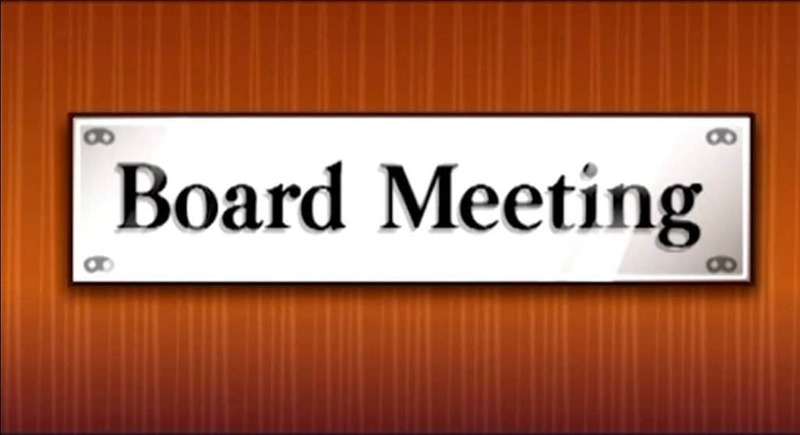 Environment/Safety Committees: Kathleen Henry & Dee Brown – Weren’t able to attend but we will receive updates and place them on the website for review. Discussion: Angela asked did we reach out to Reliance? It does not charge a monthly charge and free checks for non-profits and a $400 line of credit. As of now we pay $50 for checks $5 service charge and the hours are not conducive to the board’s schedule. Fatima Muhammad announced that the Chair position on the HPNA Board is now open and that the current Chair Regina Dennis-Nana would not be seeking re-election. Fatimah thanked Ms. Dennis-Nana for serving as the HPNA Chair for the last two years and encouraged her to continue to be involved in the association. Discussion: We have been talking about the financial status of the association and all that we have done has been grassroots fundraising. Flip Cause works with non-profit organization and the come up with ways to assist with raising funds. They help with the website and put together website for our different campaigns. They offer assistance to start online stores and will help us keep up with general maintenance. They have agreed to work with us another two months and we have it in writing. After the 60 day trial we can dissolve the trial and they will continue to assist us where needed. Fatimah Muhammad – asked Regina about the comments that were mentioned from Alderman Brandon Bosley’s early morning meeting. Regina Dennis – reported that a key part of his meeting was regarding the City-County merger. More specifically he talked about the lack of support about the growth and change with the school system, higher property taxes and more meticulous home inspections and the lack of representation the city will have in the city-county merger deal. Mark Pappas – asked how could it possibly be unfair if the City/County merger happens that the taxes would increase yet the city neighborhoods won’t receive any benefit. Where is the ethics and where is the better together idea? Regina responds that she has heard talks of this merger that has gone on over the last 5 years and that the public was just now receiving the official documentation. Deborah ?– Had a question regarding petitions are available to sign. Timyra Williams – President of the Baden Neighborhood Association, announced that the Baden Community Association would be inviting the HPNA community to attend their meetings. She also asked about our raffle, but proceeded to make a donation to the association. Fatimah Muhammad – Thanks Barbara Levin, Coordinator of the Alliance for Building Capacity at Brown School for her work with the community, and the HPNA Board. Alderman Bosley – came in to speak on his stance with the city-county merger. He revisited Regina’s report to the Board in that he had concerns with the merger in regards to change with the school system, higher property taxes and more meticulous home inspections and the lack of representation the city will have in the city-county merger deal, as well as not having the ability to vote for the new “metro mayor”. Motion: Fatimah Muhammad moved that HPNA Board Meeting be adjourned.